Mineral interests can be exchanged and can qualify as replacement property when exchanging out of a traditional real estate investment. To qualify for tax deferral, relinquished property must be exchanged for like-kind property. If the relinquished property is real estate, the replacement property must also be real estate. Not all mineral interests are real property. The law of the state in which the property is located will determine its status as real or personal property. For instance, under Texas law a royalty interest is not real property. 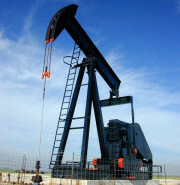 There are, however, several types of mineral interests which are classified as real property under Texas law. Under Texas law, real property can be severed into two estates: the surface estate and the mineral estate. The surface estate includes the right to use the surface of the property. The mineral estate includes all minerals which may be found on or produced from the property. The mineral estate is an interest in real property and qualifies as replacement property in an exchange of a traditional real estate investment. Other interests, such as working interests, are also classified as an interest in real property. There are several companies which specialize in structuring mineral properties which qualify as replacement property in an exchange of a traditional real estate investment. Call or email for more information.